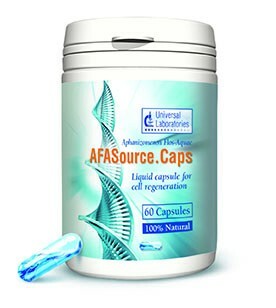 AFASourceCaps stimulates stem cell production, naturally! Aphanizomenon Flos-Aquae, commonly known as AFA, a superfood unique in the world, found only in Lake Klamath (Oregon). 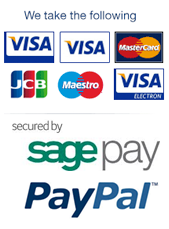 Food Supplement: As with other supplements, seek professional advice before using if you suffer from food allergies. If you are taking prescribed medication, or have any medical conditions, please consult your doctor before taking food supplements. Do not exceed the stated recommended intake without taking advice from a health professional. If you take blood thinning medicine, do not take this product except on the advice of a doctor. Food Supplements must not replace a varied and balanced diet and a healthy lifestyle. Store below 25oC in a dry place, out of sight and reach of children. Fish Oil 18/12 (Fish), Spirulina, Capsule Shell: Gelatin, Glycerin, Soya Bean Oil (Soya), Bees Wax, Sunflower Oil, Lecithin (Soya), Hyaluronic Acid, Aphanizomenon Flos-aquae(Klamath Blue Green Algae), Colour: Copper Chlorophyllin.